SolicitorsNationwide.co.uk is a property conveyancing comparison site allowing visitors to obtain a range of quotes from a panel of solicitors and choose the best option for them. 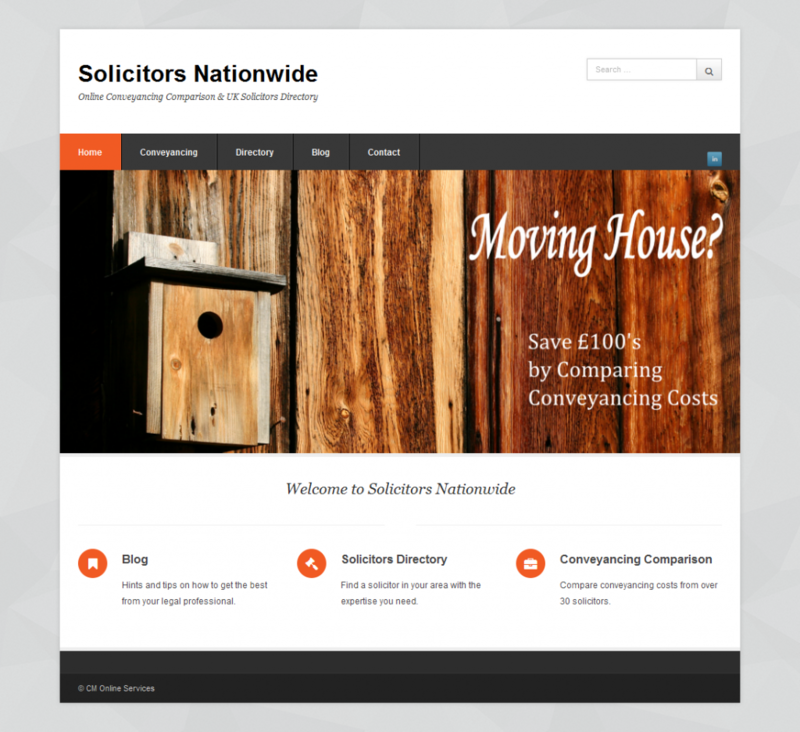 The site is built on WordPress and uses the Solicitors Nationwide Conveyancing Comparison Tool plugin, built specifically for Solicitors Nationwide, to provide visitors with their quotations. Solicitors Nationwide also provides a directory service allowing visitors to find a solicitor local to them.